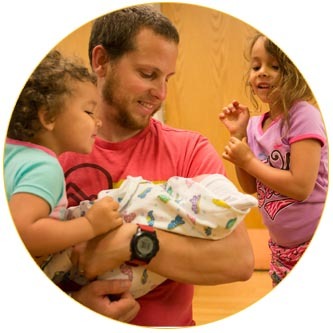 A postpartum doula is experienced in supporting families as they add a baby to their family. The first few weeks and months home are critical and challenging but also unique and incredible. A postpartum doula provides support for the family that is transitioning to life with another human. As a mother, I understand how vital postpartum support is for the whole family. My goal is to provide the practical, emotional, and physical support during this time that allows the family to gain confidence in their new roles. Families often hire me during their prenatal period. However, some families decide to hire me after their baby is born when they see first-hand how helpful it would be to have another set of hands available.